Hydro Pump Company, based in Omaha, Nebraska, is a leading wholesale distributor of geothermal heat pumps, HVAC products, and water well products from the nation’s leading manufacturers, serving contractors in Iowa, Nebraska, Kansas, Missouri, South Dakota, and Minnesota. While Hydro Pump Company is locally owned and operated, we are a WinPump company, part of the WinSupply Group, which not only gives us access to inventory and products across the country, but also allows us to offer the best prices through our national buying power. Environmentally friendly geothermal heating and cooling systems provide the highest efficiency and greatest energy savings of any HVAC system. As a geothermal distributor, Hydro Pump Company has a highly-trained staff that can assist licensed HVAC contractors in the design, sale, and installation of geothermal heat pump products. Hydro Pump Company is a leading distributor of GeoExcel and QEnergy geothermal and water-source equipment. Hydro Pump Company also offers custom built pumps and in-ground loops for geothermal heat pump systems. In addition to geothermal heat pumps and water-source heat pumps, Hydro Pump Company also distributes hydronic and radiant flooring equipment, gas and electric boilers, pumping controls and equipment, control and energy management products, air quality products, and related HVAC products. 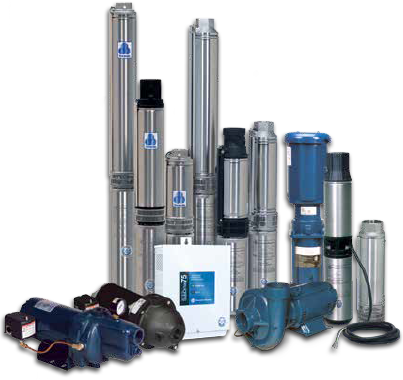 Hydro Pump Company is also a wholesale distributor of water well products, offering full product lines, including submersible and centrifugal pumps. We distribute PVC pipe and fittings and poly pipe, as well as brass valves and fittings, stainless steel valves and fittings, and pressure tanks to complete a domestic, irrigation or industrial water system. Hydro Pump Company carries Franklin-Water Horse, Wilo and Berkeley Pumps lines. We also specialize in Centennial Plastics LLC, Bilfinger Water Technologies/Johnson Screens, and Cresline Plastic brands of PVC pipe and fittings and poly pipe. Hydro Pump Company also has a large selection of Amtrol, Flexcon, and A.O. Smith Trident pressure tanks for all applications. For a list of installers in your area please call us at 1‑800‑728‑0878. © 2014 Hydro Pump. All rights reserved. Design by Century Marketing Inc.